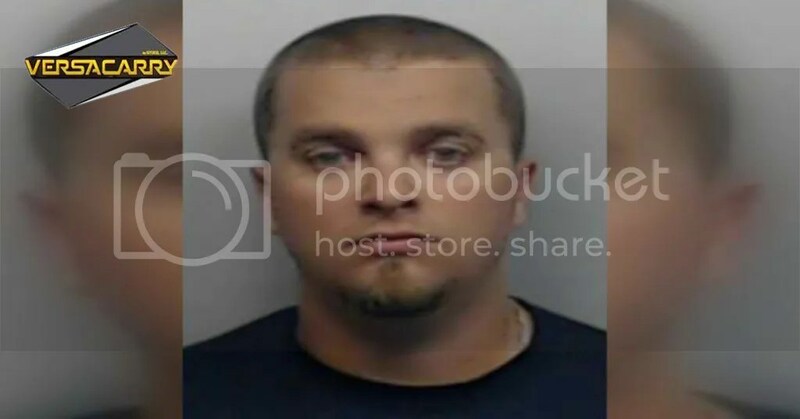 ALPHARETTA, GA. — a 25 year-old man is accused of pulling a gun on an off-duty deputy during a road rage incident. Sgt. Lou Mitcham says he was making a U-turn along Old Milton Parkway when Micah Wolverton nearly cut him off, then pulled a gun. Mitcham says that’s when Wolverton rolled down his window and the two exchanged words. Next thing he knew, Mitcham says Wolverton pulled out a gun. “He was just using it, I think, to try and scare me and to put me in fear. It obviously did when I saw the weapon,” Mitcham said. But Mitcham says he called 911 instead of taking matters into his own hands by firing at the Alabama man. “I didn’t have probable cause at the time. He never pointed the gun at me, but I didn’t know if he was going to or not,” Mitcham said. Officers say Mitcham gave them a great description of Wolverton and his van. They were able to pull him over not far from the scene. “We did discover the loaded Glock handgun on the front passenger seat of the van and, of course, when the complainant gives us that detail and we find those facts are true, at that point we made an arrest of the driver with the white van,” Gordon said. Alpharetta drivers said they were surprised to hear of the road rage. “I think we were quite lucky that he pulled it on an off-duty police officer, because the next time he may have hurt somebody,” said driver Sherry Krnaski. Police say Wolverton told them he merely put the gun on his front seat and didn’t intend to scare Mitcham, but police aren’t buying that story. Wolverton is facing charges of simple assault and aggressive driving. Mitcham says he hopes Wolverton pays for what he did.